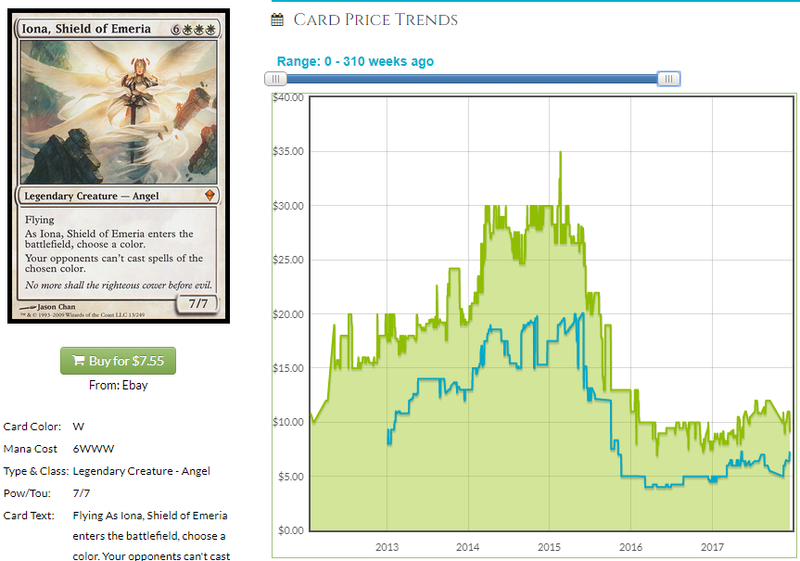 Today I was supposed to try and predict some more of what was going to be in Masters 25 so we can dump those cards because it didn’t feel like there was any sense of immediacy to buy anything (except stupid cryptocurrency, I guess) but looking at card prices of good EDH cards has made me marvel at how well some of them shrugged off Modern Masters printings. Iconic Masters seems to be printed more than we’d anticipated but people also seem to have moved on to draft Unstable because it’s a third of the cost and way more fun. 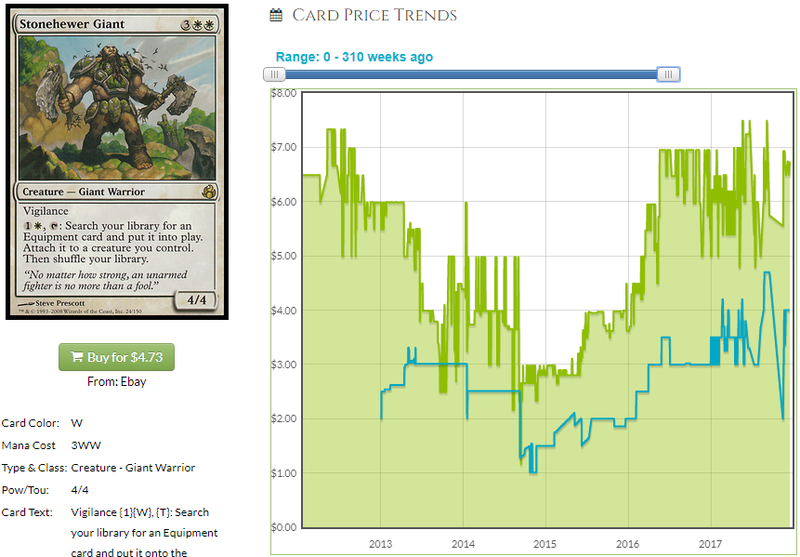 With Iconic Masters prices near their bottom, maybe we should look at how long we expect it to be before prices recover, how much of their pre-reprinting value we expect them to recover and which cards we think are the best targets. 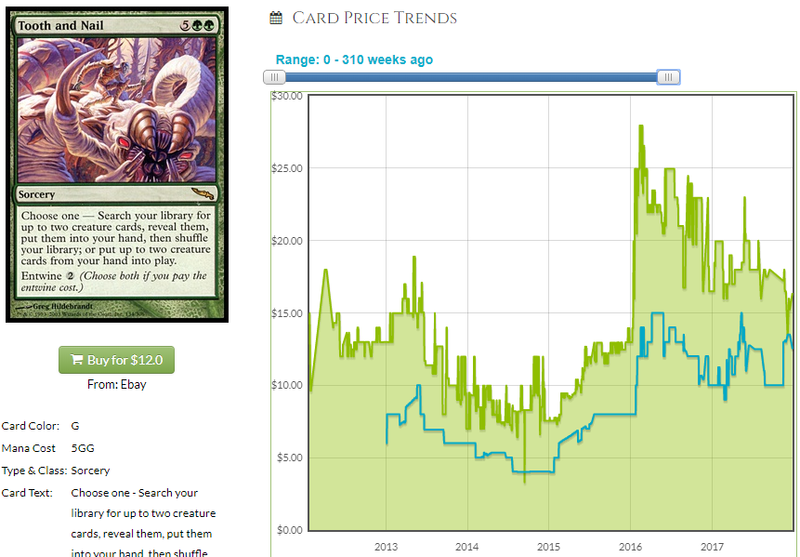 I’ll try and find analogous cards in previous Masters sets so we can try and predict the future based on past price graphs. We can talk about Masters 25 some other time. Let’s get right into it. Iconic Masters has given us some terrible cards that aren’t really that good in any formats because they are “iconic” but for the most part, the set is loaded with good EDH cards, as are most Masters sets. There are plenty of really good EDH cards, so let’s take a look. 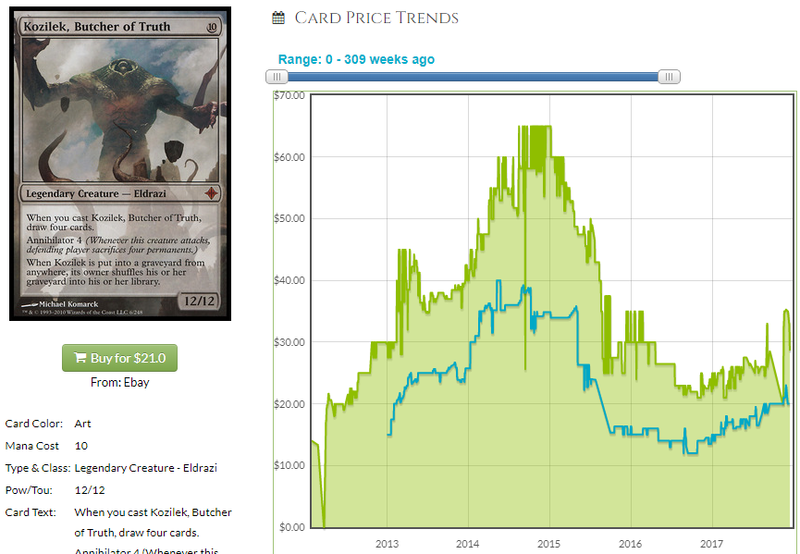 Craterhoof was reprinted in Modern Masters 2017 but it’s already recovering nicely, especially if you look at the buylist price. Craterhoof lost quite a bit of value but it’s climbing right back up. We’re basically seeing 6 months into the future rather than 2 or 4 years like we could be with older Modern Masters sets, but Craterhoof nicely matches the ubiquity of Sphinx with both cards being in over 13,000 decks. 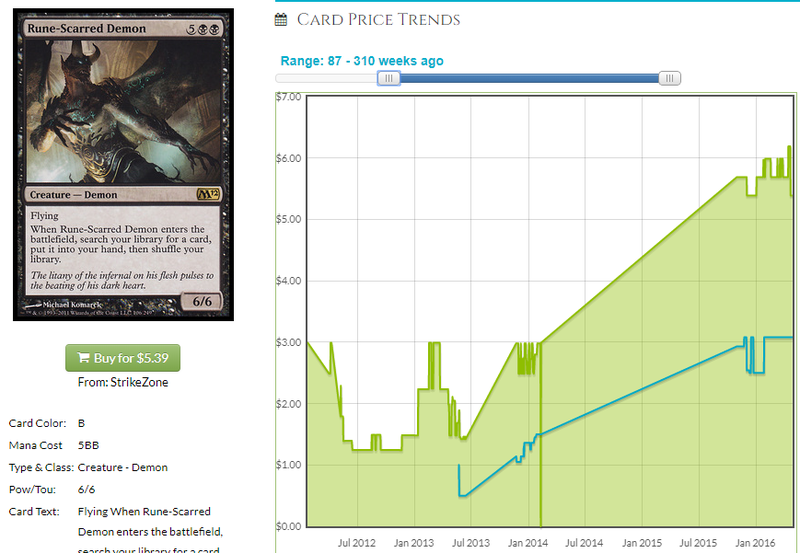 If anything, this is a nice reminder that there is still kind of time to buy Craterhoof. The Masterpiece printing shows that Wizards has identified Sphinx as something of an EDH staple and another reprinting is possible, but that’s likely to take two years at least and we’ll recover quite a lot of our value by then. I am going to try and avoid using Modern Masters 2017 cards as analogs for the rest of this piece if I can since we’re only a few months ahead, but with both cards being printed twice at Mythic and having the same inclusion in EDH, it was too perfect to ignore. With relatively the same EDH inclusion and two mythic printings each, I expect these two cards to share roughly the same trajectory. 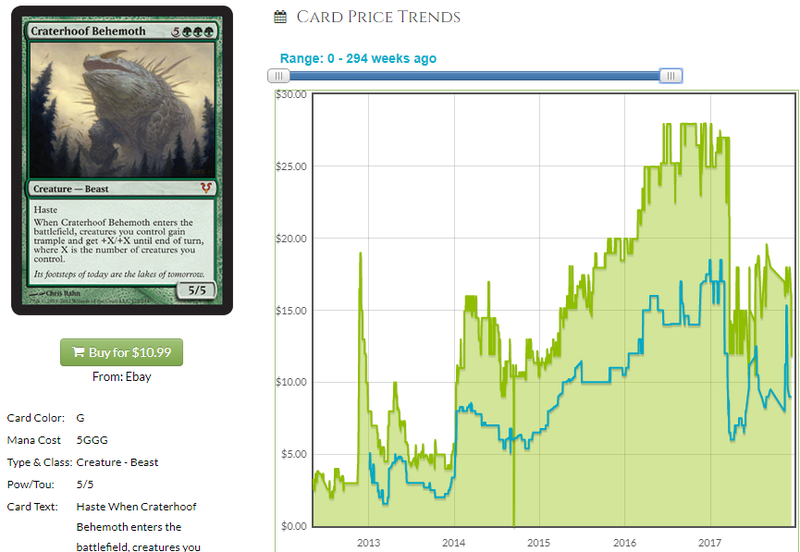 Eldrazi had a slightly inflated pre-reprinting price for reasons I don’t fully remember, but Kozilek has regained 50% of its post-reprinting value and if all of my investements could gain 50%, I’d be super happy. 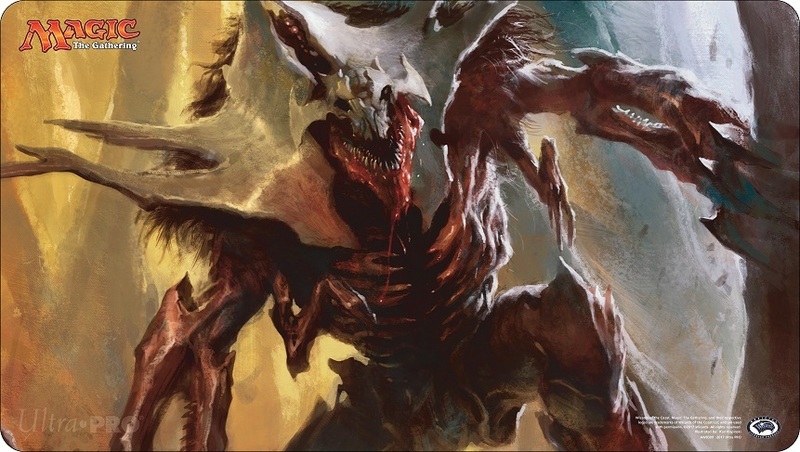 Unlikely to be in Commander precons or future Masters sets, I think Vorinclex is bound to grow and if we can get 50% more in a year or two, that seems pretty good to me. I think with more Iconic Masters copies running around, though, it may take more than two years. 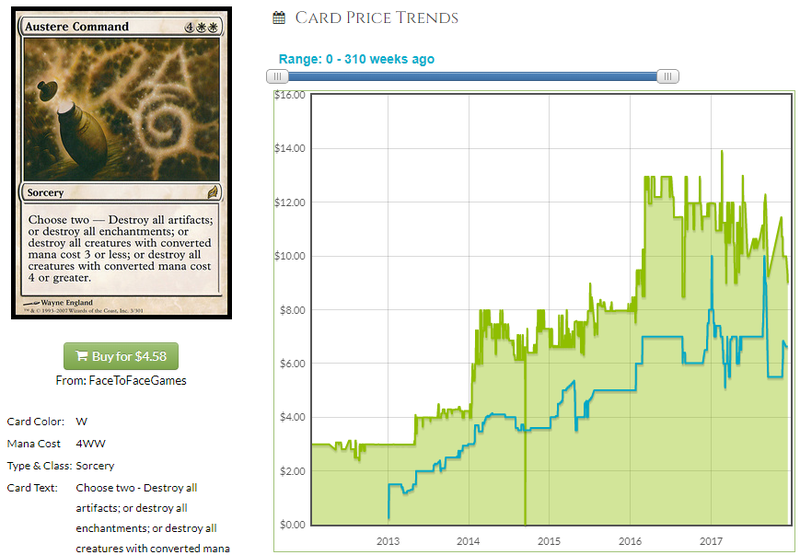 If you want a Vorniclex, though, buy now because it’s never getting cheaper and the card is stupid good. If we were going to continue looking at Modern Masters 2017, I might say let’s look at Archangel of Thune, Linvala and Avacyn. I think there is a case to be made for growth for all of those cards. 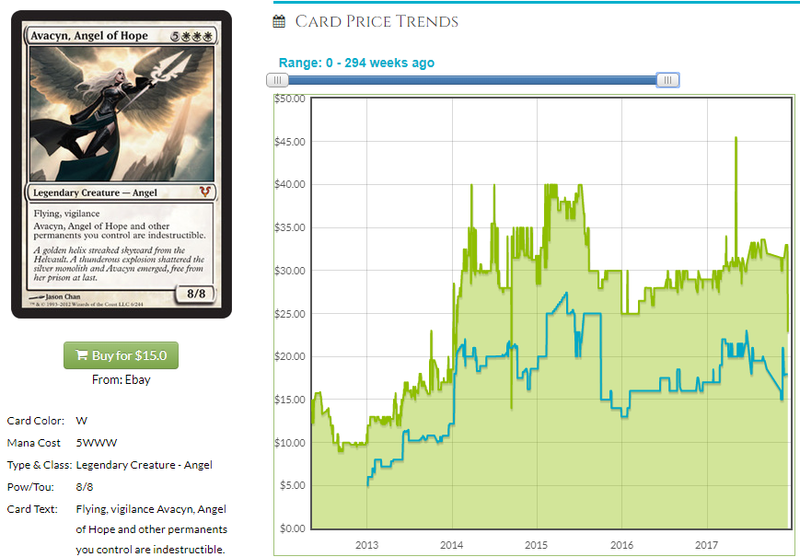 Avacyn is in twice as many decks as the others, so the growth potential is greater for that than those other cards (Linvala isn’t played as much outside of EDH as it used to be). I think we’ll be able to see some growth in Archangel of Thune and I think Linvala is probably a pretty good analog but the releases are as close together as Craterhoof and Sphinx so it’s possible we’ll see the same budding growth potential. If there is anything we can try and learn, let’s look at Avacyn. This is basically a worst case scenario. Iona is in half as many decks as Avacyn (I know, I had a hard time believing it, too) but both were in a set, have this printing and are in FTV Angels. We see some budding recovery from Iona with the buy price converging very nicely with the retail price which indicates future growth potential in both. I think with Iona turning around a bit, unless Iconic Masters is printed entirely into dirt, Avacyn should grow even better than Iona, which is growing. I think there are a few non-Mythics worth discussing quickly because even with them bring printed into powder at non-mythic in Iconic Masters, a set that apparently they’re selling at Walmart and Target like crazy, I still expect recovery. Tooth and Nail took a long time to bottom out but when it did, it didn’t stay cheap long. If you told the average person that Tooth and Nail was briefly gettable for $6 retail ($4 buylist!) they would probably laugh. I feel the same way about $3 Austere Command. Austere Command was in a Commander deck (it dodged the Commander Anthology bullet) and still went from $4 at the time of that reprinting to $14 before a reprint caught up with it. Buying these at $3 is cheating. Does the price chart of Stonehewer look good to you? 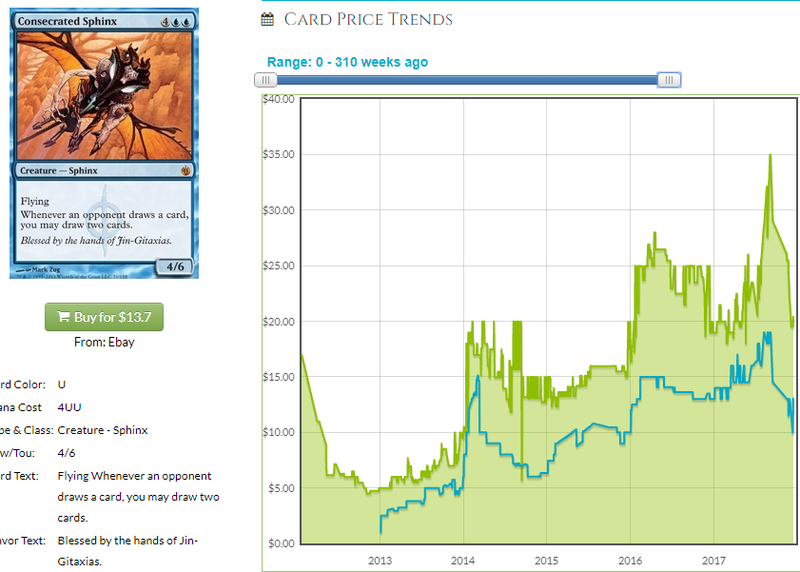 If I told you that Rune-Scarred Demon was in the same number of decks as Stonehewer, would you think that Rune-Scarred at $1 was way too cheap? Well, I can’t tell you that. Rune-Scarred Demon actually isn’t in the same number of decks as Stonehewer. It’s actually in twice as many. I think 5 examples is enough to digest for now. I can do a second installment next week because I think there are several more good buys. I also think there are good buys not predicated on EDH such as Glimpse the Unthinkable, but since I don’t really have the data infrastructure to prove it, I’m going to leave that up to someone else. I think we’re going to pinch it off here for this week. 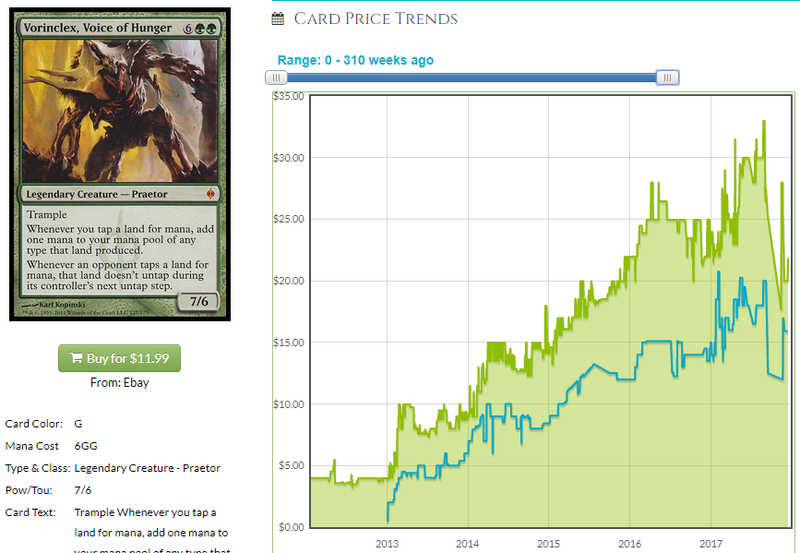 I’d like to thank everyone for sticking with MTG Price this year. We have had a few setbacks in 2017 but my articles are still fun to write, I think they’re still valuable and they’re still free eventually so as long as you keep reading them, I’ll keep writing them. 2018 is going to be an even better year for both MTG Price and EDHREC so you know I’ll let you know what is happening, what it means and how you can make some money. Buy those cheap Demons and Commands and always buy bulk rares – you never know what someone else is going to consider bulk and how much it will grow in a year or two. That’s it for me this week. Until next year!